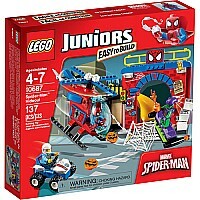 Help Marvel's Spider-Man defend his hideout from the evil Green Goblin! 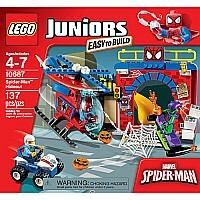 First put together the Easy to Build hideout, then jump into action as Green Goblin pelts it with pumpkin bombs from his air glider. Launch Spider-Man's helicopter and use the web thrower to stop him. 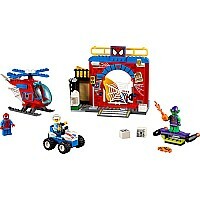 Then bring in the police officer on his motorbike to help out Spider-Man. 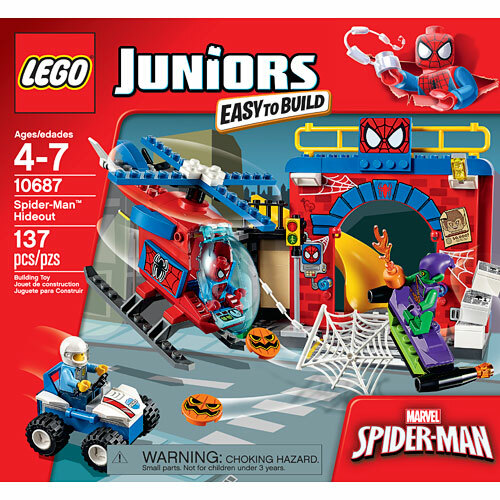 Designed for an easy start with the LEGO brick, LEGO Juniors sets come with easy instructions and quick start elements to get the play started sooner. 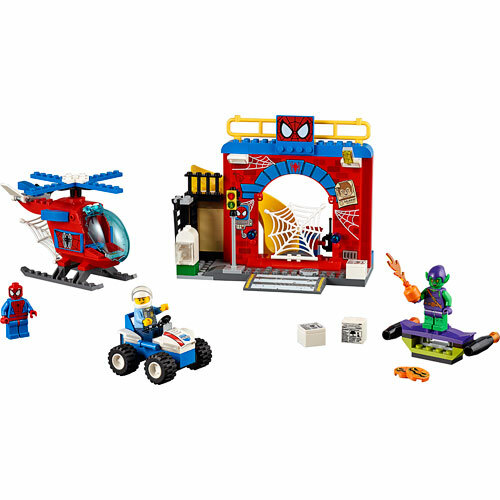 Includes 3 minifigures: Spider-Man, Green Goblin and a police officer.